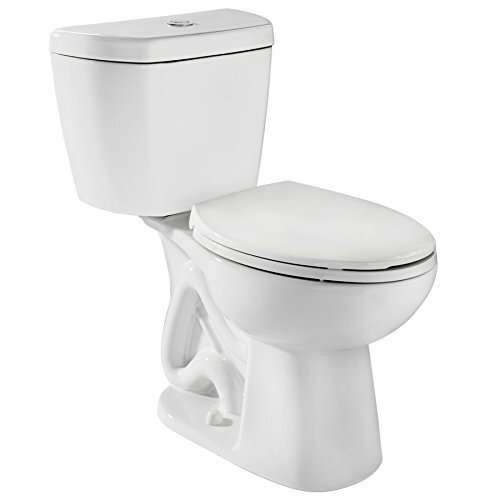 When it comes to toilets, the Niagara 77002WHCO1 is definitely a model to keep your eye on. This toilet uses less water than any other standard toilet out there. Heck, it uses less water than so called water saving toilets. That is how efficient it is. Furthermore, this is a gravity flush toilet with vacuum seal technology that can blast waste out just like the big water consumers. It’s easy to install, requires minimal maintenance, and doesn’t cost very much to begin with either. The Niagara 77002WHCO1 is made using your standard porcelain. We like porcelain toilets because they are tough, they don’t stain easy, and they are simple to clean too. Now, the tank itself uses no flappers, chains, or anything like that. Therefore, there are not many interior components that move, and therefore there is not much that needs maintenance. There really is not much here that can break, which is a big bonus. We do like the comfortable bowl which is an EZ height bowl, so anyone can sit on it with ease. When it comes down to it, the Niagara 77002WHCO1 is a fairly standard toilet, but one that saves a whole lot of water. When it comes to the flushing system of the Niagara 77002WHCO1, it is quite simple and straightforward. As we will probably mention a couple times throughout this review, this toilet uses only 0.8 gallons of water per flush, which is of course awesome in terms of water consumption. With that being said, the tank of this toilet does not have any of those flappers or chains like normal toilets. Instead, it uses a simple seal with vacuum assist stealth technology. The Niagara 77002WHCO1 really powers the water down throughout the bowl and out of the trap for super-efficient flushing. The Niagara 77002WHCO1 features a single flush button for ease of use, optimal performance, and to save on water too. It really does not get any simpler or more efficient than that. In terms of cleaning, the Niagara 77002WHCO1 is just your standard toilet. You don’t need anything special to clean it. Bust out that toilet duck and scrubby brush, and scrub the stains away. Porcelain does not stain too much anyway, so it’s really not a big issue at all. Without a shadow of a doubt, the best aspect about the Niagara 77002WHCO1 is that it is very efficient when it comes to water usage. Your average toilet uses up to 4 or 5 gallons of water for every single flush. That is 20 liters of water being wasted. 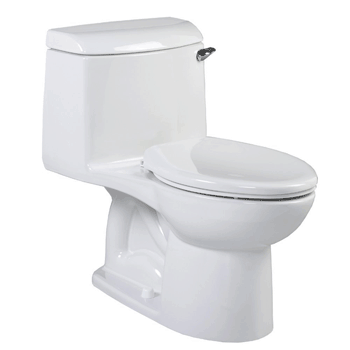 Now, your standard water saving toilet might use about 1.6 or 2 gallons of water, which is between 6 and 8 liters. However, that is still a whole lot of water to use just to flush a toilet. The Niagara 77002WHCO1 uses only 0.8 gallons of water, which is around 3 liters per flush, which is of course amazing. It is surprising that such a water efficient toilet like this does not cost any more than it does. We love the fact that it uses so little water per flush. In terms of installation, the Niagara 77002WHCO1 is pretty standard. Yes, you can get a plumber to install it for you, which is probably the safe way to go. However, if you have a basic understanding of toilets and plumbing, and you have the necessary tools, you can do it yourself. All you need to do is connect the water intake to your plumbing, connect the trap to the sewer pipe, and then bolt the toilet to the floor using the included bolts and caps. It really does not get any easier than that. The toilet itself is actually fairly small, which is convenient too. It can be installed in most small spaces without issue at all. 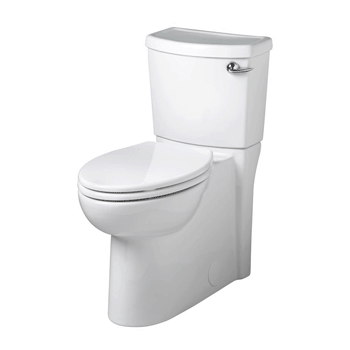 The Niagara 77002WHCO1 is indeed very water efficient, which is one of the biggest attributes that we always look for when going to buy a toilet. Not only that, but the special flush system used here has very little moving parts, which means that there is not much that can break, and therefore not too much maintenance needed either. The fact that the Niagara 77002WHCO1 is so small and compact also helps when it comes to tight spaces, plus it is very easy to install as well. After all has been said and done, we do think that this is a great toilet to keep in mind.